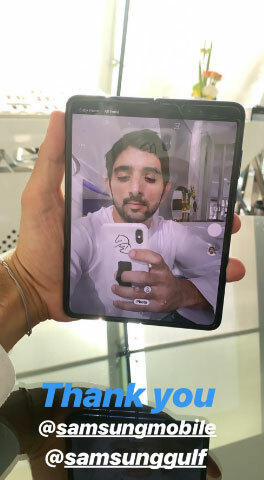 Dubai: As the world waits 10 more days until Samsung releases the Galaxy Fold worldwide on April 26, Dubai’s Crown Prince has already been taking selfies with the new phone. 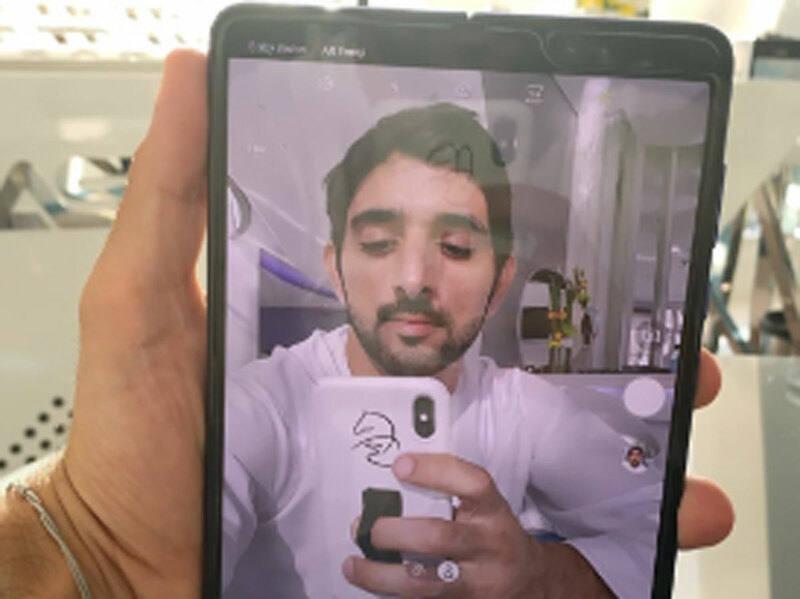 Shaikh Hamdan Bin Mohammad Bin Rashid Al Maktoum, Crown Prince of Dubai and Chairman of Dubai Executive Council, gave fans a huge surprise when he posted a photo of a selfie — taken with the $1,980 phone. On his official Instagram account @faz3, Shaikh Hamdan posted an Insta Story as he opened and folded the phone, with a shot of himself on the screen. A photo of the Crown Prince was also uploaded as an Insta Story, and received over 21.5 thousand views in the first few hours it was posted online. The Insta Stories went instantly viral as eager tech fans wanted a glimpse of the new phone that has caught the world’s attention for offering a folding handset.